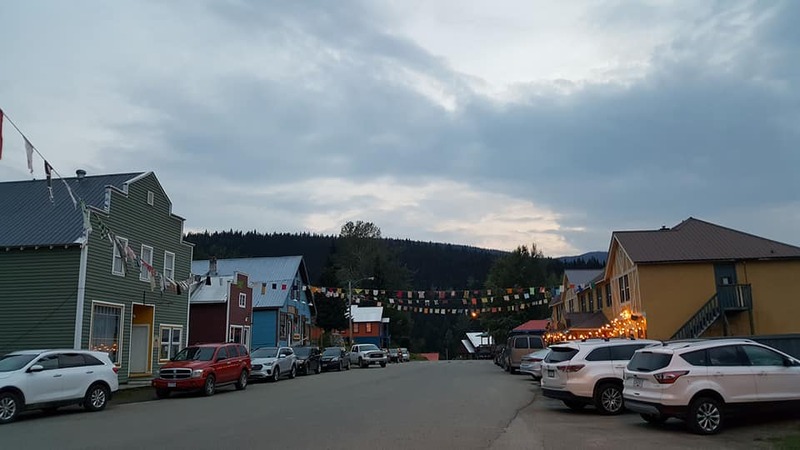 I watched as a tiny mountain mining town in British Columbia transformed, blossomed, grew exponentially in size, and then exploded with art and music. Thanks to everyone at the ArtsWells Festival Of All Things Art for the opportunity to perform amid such talented and creative people in a unique setting. I even got to sing an unplugged set in a beautiful church from the 1800s in the town of Barkerville. I also had the opportunity to participate in a songwriting workshop leading up to the festival, taught by three great songwriters – David Francey, Jenny Whiteley, and Joey Wright. I’ve got a lot to think about in the aftermath, and new songs to work on. This weekend, I’m in Kingsville, Ontario for the Kingsville Folk Music Festival. Check out the website for the full schedule. Then I’ll be in the Grey-Bruce area next, for a cottage concert in Wiarton at the end of the month. More info on the gigs page. Live music outside – what could be better! ?